There’s a reason hoop enthusiasts have nicknamed New York City as “the Mecca of Basketball.” The storied and expansive history of the Knicks has major influence in that observation. Even though the team is still trying to find an established ground system to be consistent winners this season, the Knicks are showing fans why they’re worth the buck as one of the hottest tickets in town. With a promising young star in Kristaps Porzingis becoming one of the early leading candidates for this year’s Rookie Of The Year award, the Knicks have slowly regained fans they lost from last season. And ticket sales say it all. 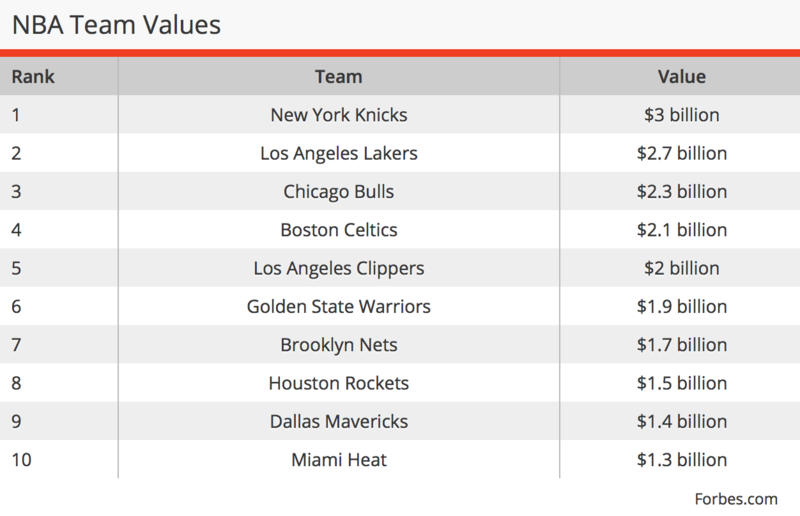 According to Forbes magazine, the Knicks are the NBA’s most valuable team with a net worth of $3 billion. Following them are the Los Angeles Lakers with $2.7 billion dollars and the Chicago Bulls trailing closely behind at $2.3 billion. Although the Knicks’ current record is 21-22, a major reason they’re able to gross a lot of money despite disappointing results on the court is their television contract. When you have a superstar such as Carmelo Anthony and a skilled 7’4 rookie such as Porzingis, it’s only right hoop fans will tune in to see these shining stars light up Madison Square Garden. The house Walt “Clyde” Frazier and Patrick Ewing became legends in has never looked so promising.